This delicious, fluffy dessert has a silky texture and satisfying flavour. The best part about this low calorie dessert is that it’s zero Weight Watchers Freestyle points and you can make it Keto friendly, too! You only need two ingredients to make it. 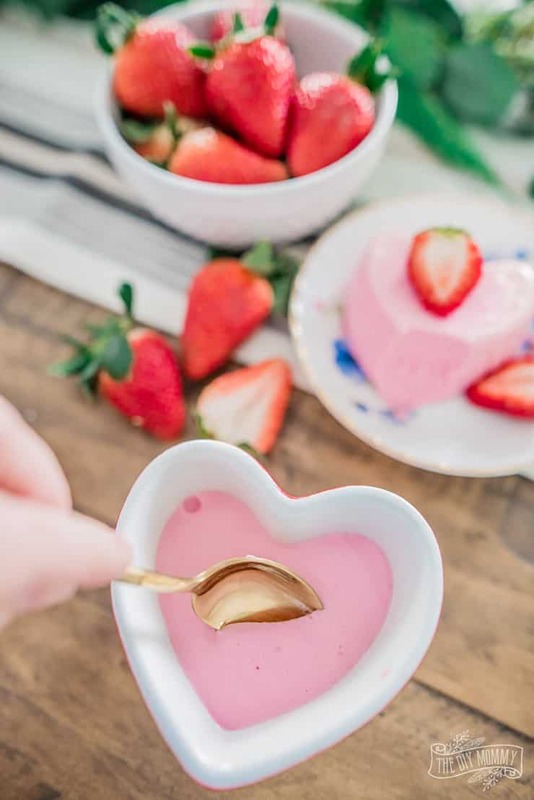 With Valentine’s Day around the corner, I’m thinking of all the cute heart-shaped and yummy desserts I can make for my family. The challenge is: I just started with Weight Watchers (I LOVE the accountability and simplicity of the program, and I can write more about it later if there’s interest!) so I want low calorie DIY dessert options. Well, lucky me because I stumbled across a mention of “Fluff” on the WW forums and I had to give it a try! It looked delicious (I adore interestingly textured foods) and really easy to make. 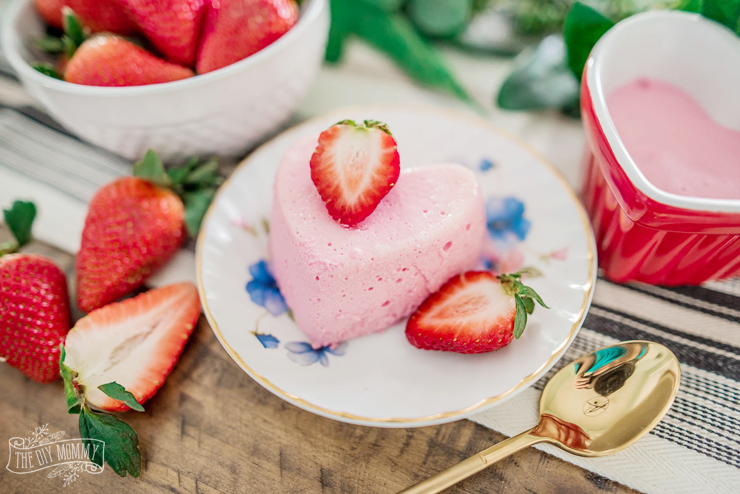 And if you happen to have heart ramekins like I did, this fluff can turn into the sweetest, heart-shaped Valentine treat! 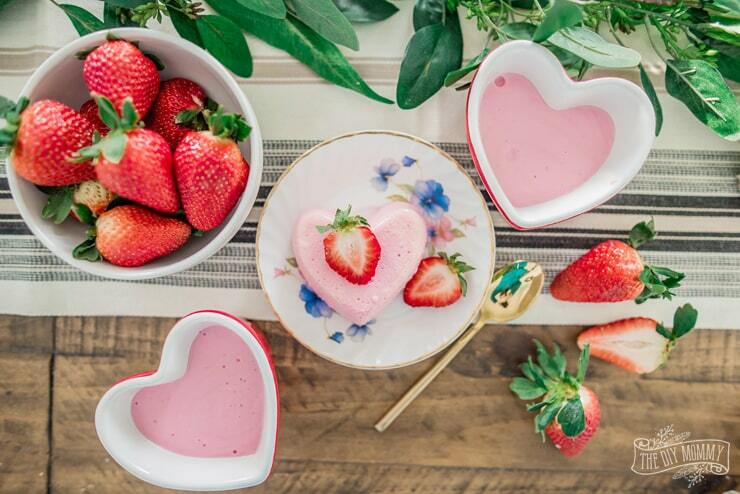 All you need are two ingredients: sugar free Jell-O powder in your favourite flavour (I’m using strawberry for this recipe) and 0% fat plain Greek yogurt. I’ve also seen people make this with plain regular yogurt, but I love the taste and thickness of Greek yogurt. 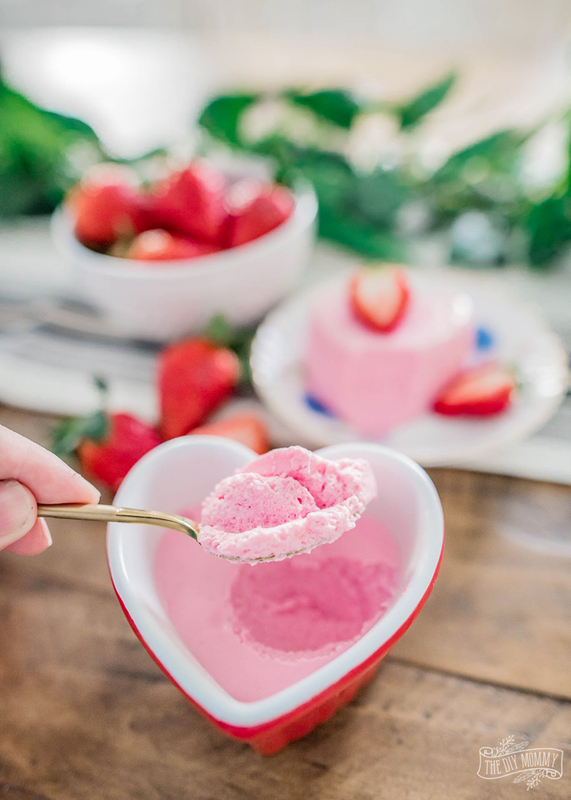 You blend 2 cups of yogurt in a bowl with your stand mixer on high for about 5 minutes to make it fluffy, and then meanwhile dissolve the Jell-O powder in 1/2 cup of boiling water. Add 1/2 cup of cold water to the Jell-O mix, and then pour the Jell-O mix into the beaten yogurt. Then, continue to beat the yogurt + Jell-O mix for 8-10 minutes until it’s light and fluffy and pour it into small bowls or ramekins. If you want to turn it out and make shapes, make sure to coat your containers with baking spray. Let the fluff set in the fridge for at least a couple of hours, and voila! You have delicious desserts that you can enjoy throughout the week. 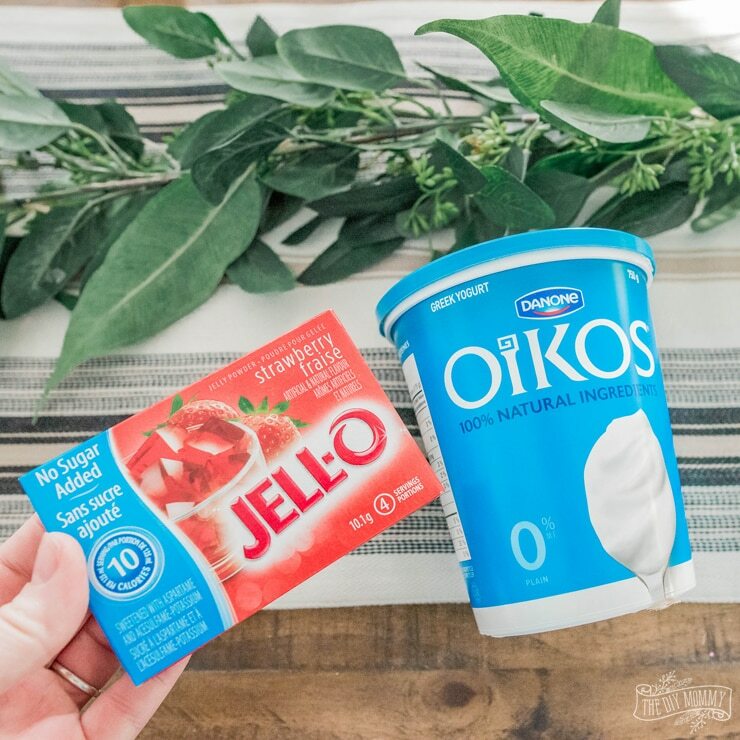 Please correct me if I’m wrong, but for my Keto mamas you could make this Keto diet friendly by swapping the 0% yogurt with full fat yogurt for a delicious and easy dessert. Whip the yogurt in a stand mixer for 5 minutes on high until it's light & fluffy. Meanwhile, add ½ cup boiling water to the Jell-O powder in a small bowl, dissolve the powder into the water by stirring, and then add ½ cup cold water. Add the Jell-O mix to the yogurt, and beat with a stand mixer for 8-10 minutes until combined and fluffy. Pour into small bowls or ramekins (spray them with baking spray if you want to turn the fluff out on a plate later), and chill in the fridge for at least 2 hours. 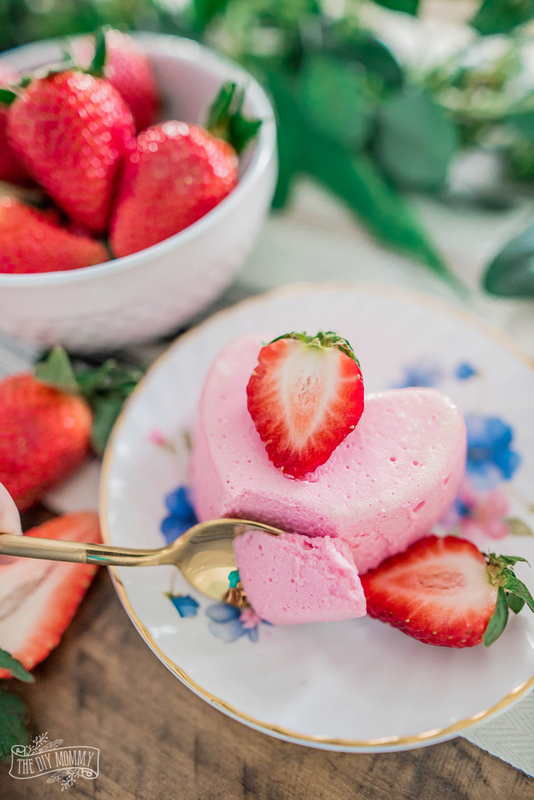 This is definitely a delicious Keto Diet Strawberry Fluff Dessert you have Christina! I bet this is yummy and it absolutely goes to my diet plan. I can’t wait to try it out later! Thanks for sharing such a great recipe Christina!